Normal Account is traded for an average 10 % to 20 % return per month. The maximum permitted draw-down is 30 % to 40 %. yearly calculated to around 100 % to 200 % with respect to market condition. 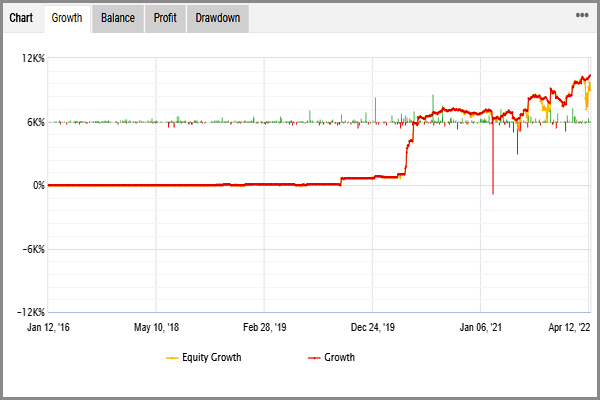 The Normal Account is traded for an average 20 % to 40 % return per month. The maximum permitted draw-down is 40 % to 50%. So yearly it will come around 200 % to 400 % with respect to market condition.